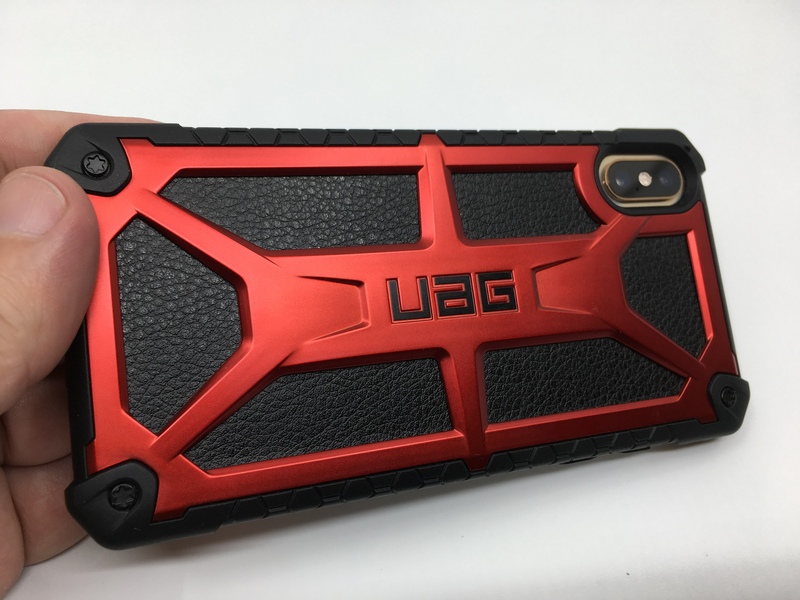 This time around I am looking at UAG’s Monarch Series, which is their premium case line and is available for both the iPhone XS and XS Max. 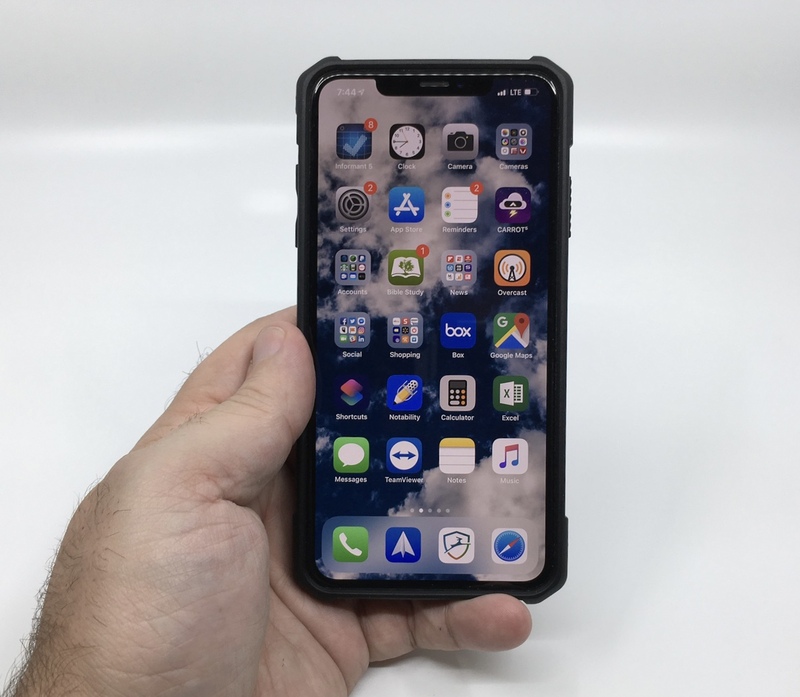 For reference, I am looking at the XS Max version for this review. While the Monarch Series shares the same basic design of the previously mentioned Pathfinder and Plasma, there are some nice touches here that set this case apart. First off, while the Pathfinder and Plasma have a distinctive molded “backbone” that provides rear protection, the Monarch switches things up. The Monarch has a durable, yet attractive metal alloy spine in place of the molded plastic version seen above. While red isn’t my favorite color, I think the Monarch’s red metal spine really looks good and provides a nice contrast with the black back of the case. The UAG logo certainly isn’t small, but I think it still fits nicely with the overall design. I was happy with the look of the Pathfinder and Plasma cases before, but I think the Monarch takes things up a notch in both the protection and style departments. A second distinction between the Monarch and some of UAG’s other cases is the use of leather on the back of the case. 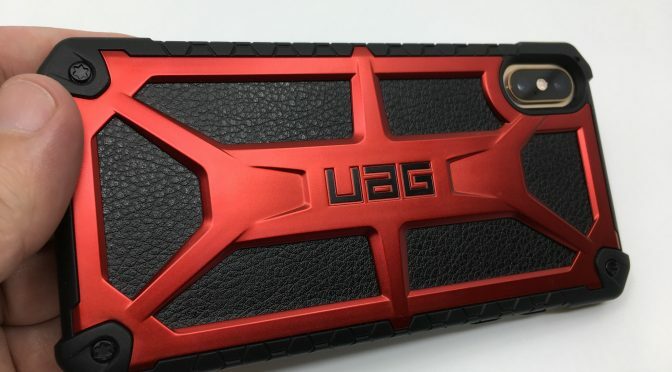 The surface underneath the red alloy frame is covered with what UAG describes as “Top Grain Leather.” I won’t disagree, as it feels good to the touch and has a nice visible texture. This is definitely a distinctive feature that is rare among cases known for device protection. Usually, those are varying combinations of rubber, plastic, and metal, so the addition of a small amount of leather is again, a premium touch. The rest of the Monarch design follows close to the UAG formula that I am used to, and that’s just fine. The small faux Hex heads in three of the four corners give the case an industrial feel that fits this case. It’s a small feature you will see on several UAG cases. I really like the design of the sides of the Monarch case. 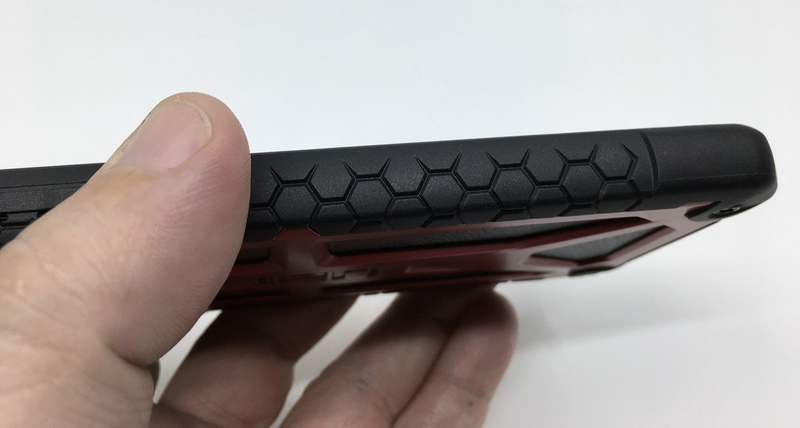 UAG refers to this as a “honeycomb traction grip,” and that about sums it up. It is easy to grip, and it feels thick and solid enough to provide plenty of protection. A hallmark of a case that is truly built for device protection is reinforcement at the corners. This is one of the most vulnerable spots to a direct hit on your iPhone. As you can see here, UAG has been around the block and knows what to do. The corners are stout and solid, but they aren’t so much bigger than the rest of the case that they make it uncomfortable to hold. Speaking of comfortable to hold, between the “honeycomb” sides and the smoothed bottom, this case is easy on the hands. 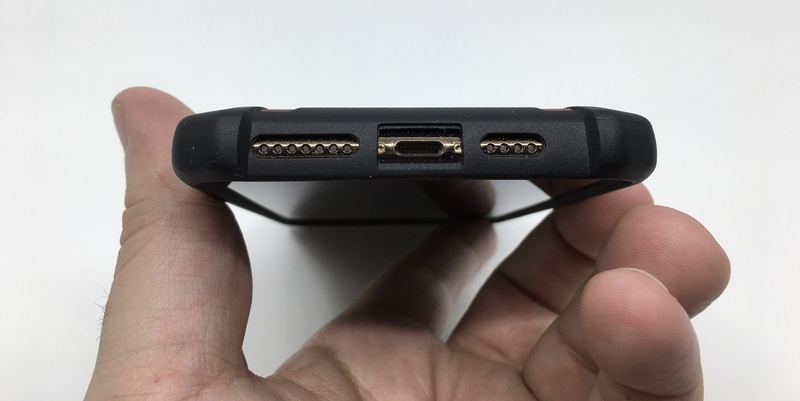 I noticed this because I recently used another inexpensive generic case that had rough, almost sharp, cutouts and openings on the bottom for the speakers and the Lightning port. I usually support my device with my pinkie finger, so I notice when a case manufacturer doesn’t sweat these details. UAG does. As you can see here, not only does everything line up perfectly, but all of the openings are also smooth enough to run your fingers over and barely notice. As for things lining up, I have always said that is the first test of a case manufacturer’s commitment to quality. If the openings and/or button covers for things like the camera, speakers, the mute switch and volume buttons don’t line up, then don’t bother. As you can see here, everything is dead center, just like it should be. That has been the case for all of the UAG products that I have used. 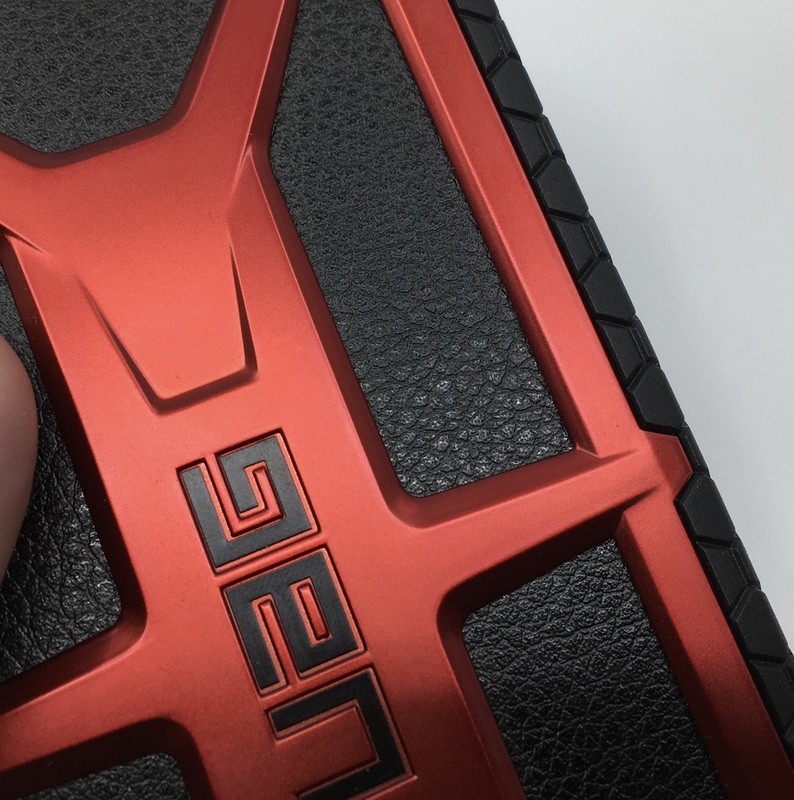 With all of the design and protection features that UAG packed into the Monarch Series case, the most impressive thing to me is how they still kept the weight in check. I have never liked the added weight and thickness that comes with most protective iPhone cases. 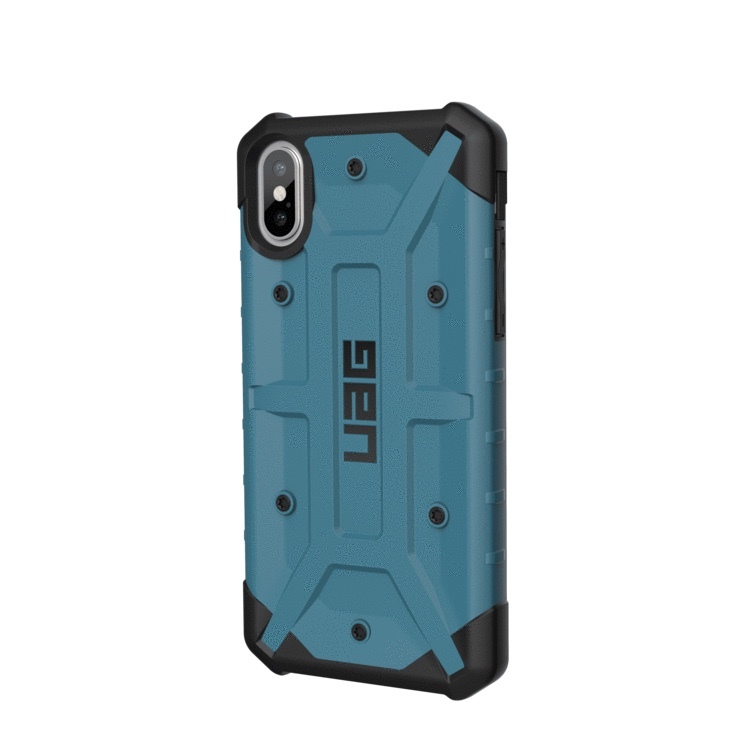 UAG is a notable exception, as all three of their iPhone cases I have used are solid, but still light enough that I don’t mind using them everyday. There are a few other great touches from UAG in the Monarch Series, as well. It meets 2X Military drop-test standards (MIL STD 810G 516.6), which again, at its weight is impressive. 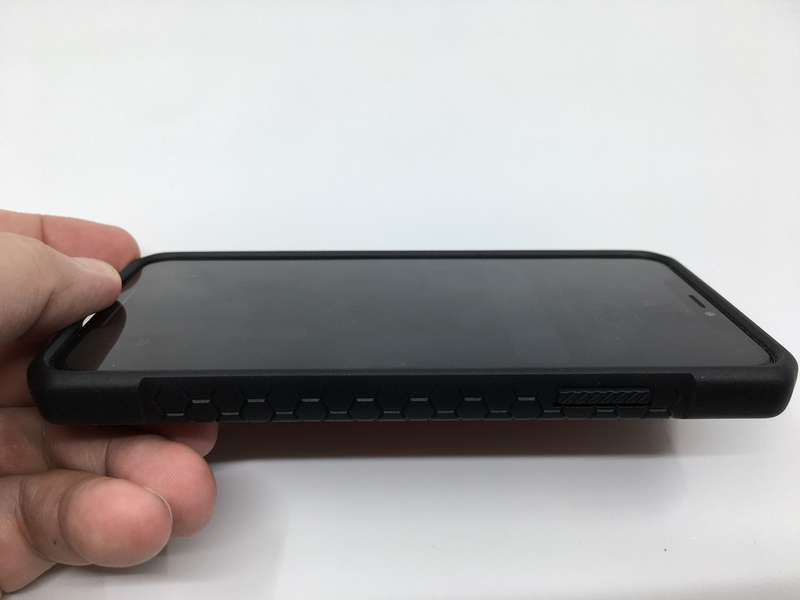 I also appreciate that this case does not prevent wireless charging or any other wireless use, including using Apple Pay. Again, UAG strikes me as a company that gets the little details right. If there is one chink in this case’s armor, it is the screen protection. As you can see here, the screen is only recessed a bit below the sides of the case, which can leave it vulnerable to certain kinds of drops. That said, I do understand that case design is a delicate balancing act. I have seen cases that had sides that were too pronounced and made certain iOS gestures pretty much impossible to perform. Usability has to be the priority, and UAG gets that right. Also, it is easy enough to add a glass screen protector to take care of this, and UAG actually makes one that is a perfect fit for their cases. To wrap up, there isn’t any real downside to the Monarch Series. It provides great protection, but also has a cool design. All of the details and touches that you expect from a top case manufacturer are here. The Monarch also has premium additions, such as a metal alloy skeleton and quality leather on the back. When you add in the fact that this case comes with a 10 year warranty and only retails for $10 more than UAG’s Pathfinder and Plasma cases, there is a LOT to like about the Monarch Series. If you are looking for a case that provides protection, style, and premium features, this one fits the bill. 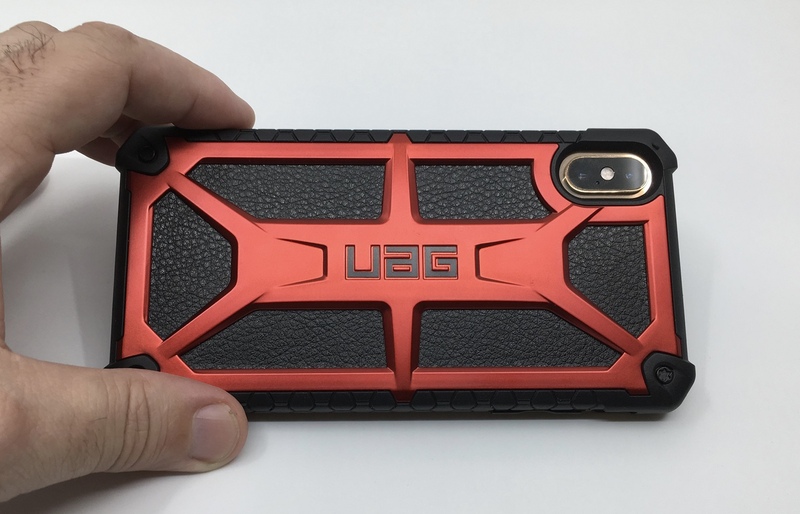 UAG’s Monarch Series is available for the iPhone XS and Max for $59.99. It comes in your choice of Black, Carbon Fiber, and Crimson. 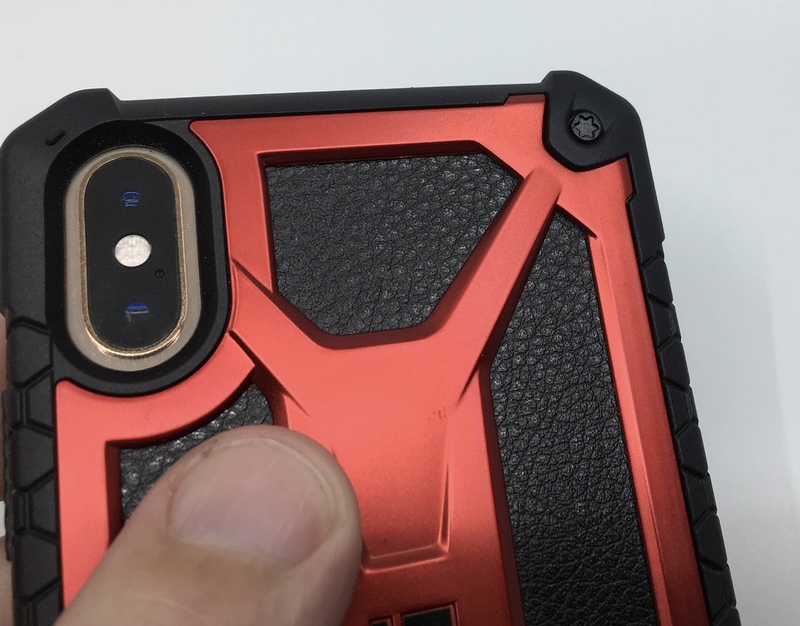 The Monarch Series case for iPhone XS and XS Max was provided for review on iPad Insight by UAG. For further information regarding our site’s review policies, please see the About page. Previous PostDeals: Layze 2-in-1 Podium Stand Car MountNext PostA New iPhone, a New Controversy. Is it Legitimate This Time?